You work hard to keep your home clean, but even immaculate residences can be plagued by stubborn odors. Smells produced by things like fireplace fuels, smoke, and even loyal little Fido can defy regular cleaning and ruin a room's atmosphere. 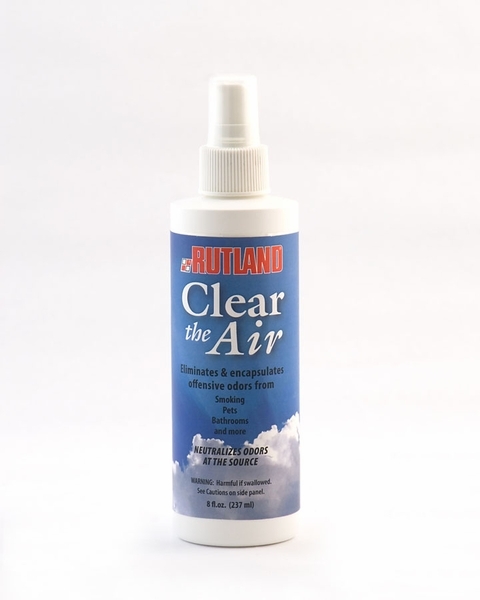 But don't worry, just a few sprays of Rutland Clear the Air Spray Deodorizer will replace all of those unpleasant odors with a light, fresh scent. You can even add water and use this deodorizer to wash walls, curtains, and clothing.